Citigroup Inc.’s private-banking arm is advising its high-net-worth clients to stop trading the pound, at least for today. The cause: the looming Brexit vote that is likely to see sterling’s volatility skyrocket and could seal the fate of U. K. Prime Minister Theresa May. Investors are bracing for rising volatility in the world’s fourth-most-liquid currency as May faces what’s expected to be the biggest Parliamentary defeat for a British government in 95 years. 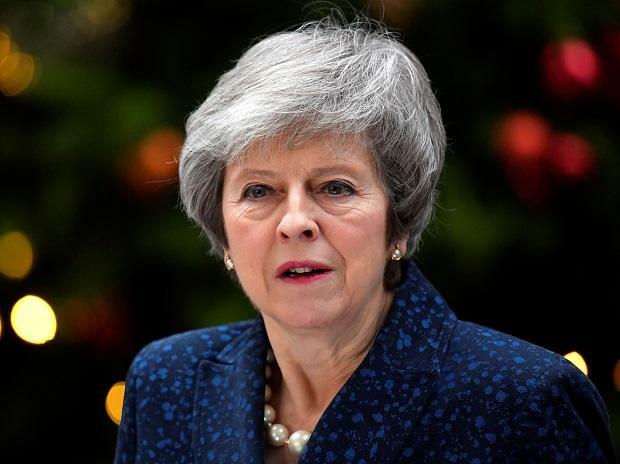 At least 70 members of May’s Conservative Party, as well as sometime allies in the Democratic Unionist Party, are publicly pledged to join with the opposition in voting against her Brexit agreement Tuesday. Despite Brexit uncertainties, the pound has gained more than 1 per cent against the dollar this month after sliding 5.6 per cent last year. Sterling may drop 10 per cent or more on a worse-than-expected outcome on Brexit -- or could rise by a similar amount on a surprise breakthrough, according to Citi. Regardless of the outcome, it’s simply too difficult to predict the pound’s direction in the near term, said Steven Wieting, chief investment strategist at the bank.